When it comes to time travel romance, there is nothing as interesting as ensuring that the historical details are correct. For me, this meant diving in to Church history, since I was placing my characters in a European, Medieval society in the year of 1520. Although I am a theologian by training, I audited a history class at the University of Barcelona called Magic in the Middle Ages. This course was fascinating, and, today, I want to share one thing that a modern day individual thrown back in time might have to deal with: the Catholic Church’s power. In our society today, we have freedom of religion, and a gender equality that allows men and women to theoretically be treated equally. However, in 1520, that was not so. In this world, the people had been taught that they could only get to the afterlife, to heaven, by way of the church. It was an indoctrination that works got one to heaven and not faith. This was one of the main points Martin Luther argued against. As a monk, Martin Luther had the training to counter the Catholic Church’s teachings, and that of the selling of indulgences, or godly favor. At that time, the Catholic Church was very powerful- it had a fist around every aspect of life, a finger in every kingdom, and there was no way to change it. But this one man, after his studying and questioning, decided to rebuff the organized establishment. This sent waves throughout Europe, resulting in Henry VIII separating from the Catholic Church some twenty years later. The first questing of papal authority began the unraveling. So, if kings and their country men were all under the control of the Church, the belief system of the church was therefore also that which was used to create political intrigue, and, a means to inflict torture and be rid of enemies, all with the accusation that one was no longer following the edicts or rulings of the Catholic Church or believed in the faith. Faith was not personal. Kingdoms were a mixture of monarchial rule combined with that of a theocracy, for the papal authority did not have borders. Being all powerful, the Church ruled harshly, punishing those who refused to abide by its rulings by calling them heretics, and ultimately burning them at the stake. In this time, one risked hide and hair, and it is the perfect backdrop for my romance, A Dragon’s Destiny. In the first of my Dragons series, time travel and fantasy are weaved together in a fast-paced, funny yet emotional romance, which begins in our contemporary time. The main character, Jaz, travels to 1520. She faces more than just a scenario of being stuck in another time, but also has to figure out how to maneuver through it all, successfully, or face the ultimate punishment: death. I hope to continue to share more about the research that I do while creating these stories as I find the details quite fascinating! 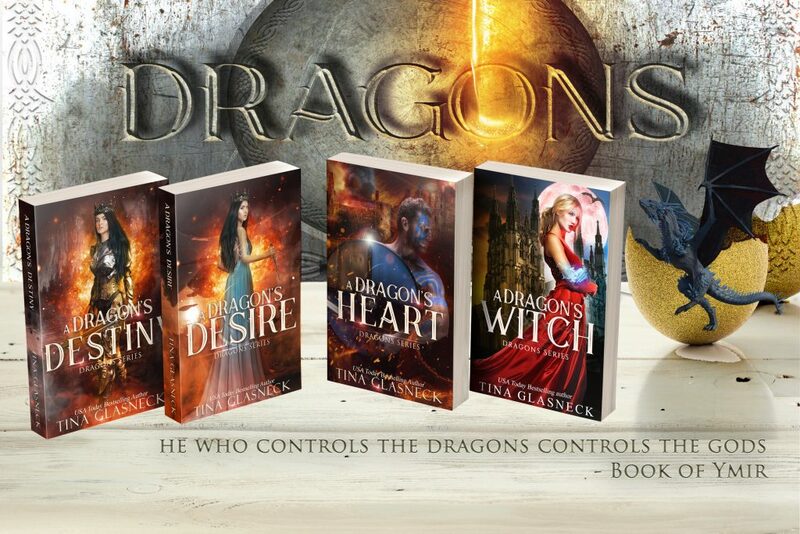 Praise for Tina Glasneck’s Dragons novels! „I am quickly becoming a fan of this author and her fantastic series“ – Judith L.
„History has always fascinated me even though it wasn’t my favorite subject. But with Tina’s books–yes, I know that this is fictional–history seems to come alive as nothing in the past did for me before.“ – Megan M.